Since comments on this website must be approved before they post, it is difficult to have a “real time” conversation via the website. However, Pabst Park is using a private online network called Nextdoor Pabst Park, where we can have conversations about our neighborhood. This will be a great resource for us to share information about what is happening in our corner of Tosa! On our Nextdoor site, neighbors share community events, recommendations, items for sale, lost and found items, crime reports, ideas about how to improve our neighborhood and more. Feel free to invite all your neighbors~they do not need to be a member of the Pabst Park Neighborhood Association. Our goal is to be able to communicate with EVERYONE from 60th to 68th! You can invite neighbors via email, print out a flyer to drop off at their house, or mail a postcard to their home FREE of charge! 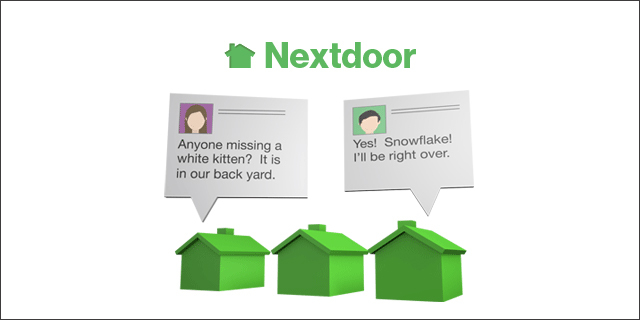 Visit www.nextdoor.com to find out more!